The Company Solutions shares allotment service will provide all the documentation and forms for the issue of new shares in a company. If the shares are to be of a class that has not yet been created, that will have to be done first. If you are unsure if this is the service you require, please visit our shares page for details of other services. Click here for information about share allotments generally. The procedure on share allotments is more complex than many people understand. Click here for a general account of this area of law. If the company was registered under the Companies Act 1985 (or earlier), that is before 1st. October 2009, it will have an authorised capital figure in its memorandum of association (unless already removed since that date). This is an upper limit to the number of shares the company can issue. If the proposed allotment would make the company's issued share capital exceed the amount of the authorised capital, the latter must be removed or increased. This will require an amendment of the articles. In practice, the simplest and cheapest amendment is for the company to adopt a modern set of articles (such as our standard articles) before making the allotment. It may be necessary for the existing shareholders to consent to the allotment, either under a provision in the company's articles or by virtue of a provision of the Companies Act 2006. This can be a complex area and often it is simpler to include such a consent in the procedure rather than spend time checking whether one is actually needed. Pre-emptive rights are where the existing shareholders must be offered any new shares being issued in proportion to their existing shareholdings. Such rights may exist under the Companies Act 2006, the company's articles or a shareholders' agreement. If the shares are not being issued on that basis, the pre-emptive rights can usually be excluded by passing a special resolution, or the shareholders can decline the shares they would be entitled to. In either case, the correct procedure must be used. The proposed allotment must be considered and approved by the directors and then approved by the shareholders. The shareholders' resolution can be passed by a written special resolution under the new procedures in the Companies Act 2006 (our preferred procedure) or at an Annual or Extraordinary General Meeting (except where shareholders have to give their individual consent to disapply pre-emptive rights). Only then can the directors resolve to allot the shares. They will then resolve to send forms and resolutions, etc. 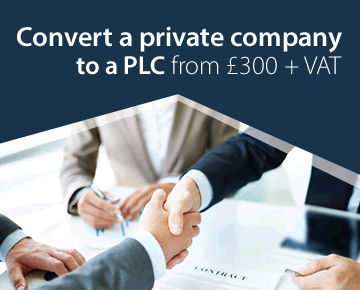 to Companies House, issue share certificates and to make the necessary entries in the statutory registers. Though often overlooked, this last matter is essential as the register of members is the primary evidence of who owns the shares. All the procedures and forms were amended by the Companies Act 2006 (most of which came into effect on 1st. October 2010) and it is important that the correct procedures are followed and documents and forms produced. If we required, we can supply share certificates and/or statutory registers. As can be seen from the above description, the amount of work varies from case to case, and a share allotment is often combined with another service, but we will always advise as to our costs on receipt of full instructions and before starting work. See our prices page for typical costs.